Which Shares Should I Sell When Using the Specific Identification Cost Basis Method? As a bit of background, selecting a cost basis method is important when investing in a taxable brokerage account, because it affects how your capital gains/losses are calculated whenever you sell shares of any of your holdings. Example: You have a taxable brokerage account in which you own 1,000 shares of Vanguard Total Stock Market Index Fund, purchased over several years, at various prices. Now you place an order to sell 200 shares. For the purpose of reporting capital gain or loss on the sale, which 200 shares (out of the 1,000 that you own) will be sold? It depends on which cost basis method you are using. But the upside of the specific ID method is that whenever you sell shares, you can sell the shares that are most tax-efficient to sell at that time. In most cases, that means selling the shares with the highest cost basis — with the reasoning being that doing so results in the smallest capital gain (and therefore the lowest tax cost) or the largest loss (and therefore the greatest tax savings). However, there are two important exceptions. First, if selling the shares with the highest cost basis would mean realizing a short-term capital gain (because you’ve held those shares for 1 year or less), then you might want to sell other shares instead. Short-term capital gains are taxed at ordinary income tax rates, whereas long-term capital gains are taxed at lower tax rates. So instead of selling your highest-basis shares, you might want to sell your highest-basis shares out of the shares that you’ve held for longer than one year. Second, if your taxable income including capital gains is below (for 2018) $38,600 if single or $77,200 if married filing jointly, long-term capital gains have a 0% tax rate. So you may want to sell the shares with the lowest cost basis. That is, you may want to “harvest” the largest gain possible. What *Didn’t* Change as a Result of the New Tax Law? Quick book-related update: The 2018 edition of Social Security Made Simple is now available (print version here, Kindle version here). The changes are minor, so I’m using the same ISBN as the 2017 edition, which means that the Amazon page will still show the 2017 publication date. 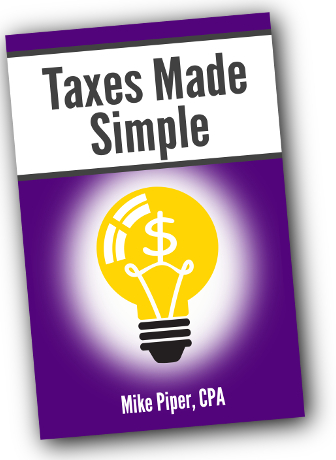 And the writing is finished for the 2018 edition of Taxes Made Simple. My estimate is that the book will be available in roughly 2-3 weeks. The single topic that readers have asked about most often over the last month or so has been the new deduction for pass-through business income. To my surprise though, there has been another type of email that has been even more common: questions about various things that haven’t changed at all. That is, people want confirmation that certain things weren’t changed by the broad new tax law. Hopefully, this should wrap up our discussion of the new tax law — at least for now. I’m looking forward to discussing some non-tax topics in upcoming articles.